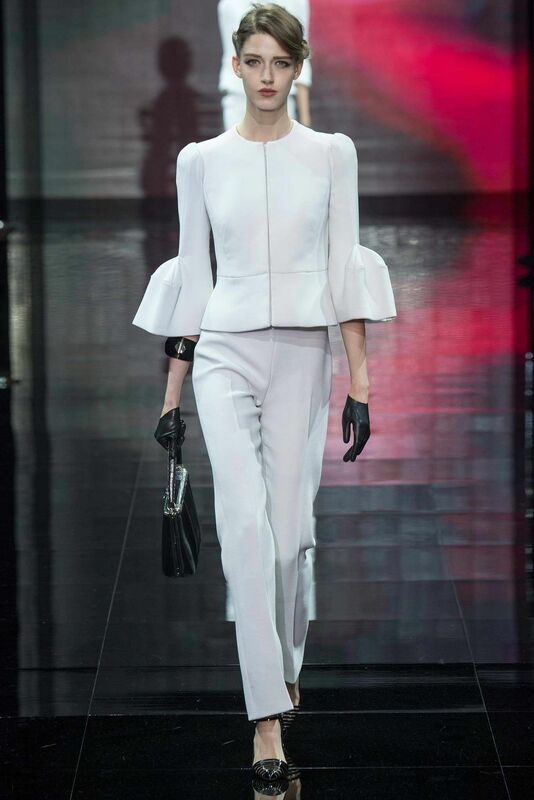 Italian fashion house Armani Privé presented their new Haute Couture fall 2014 collection in the Theatre National de Chaillot in Paris. 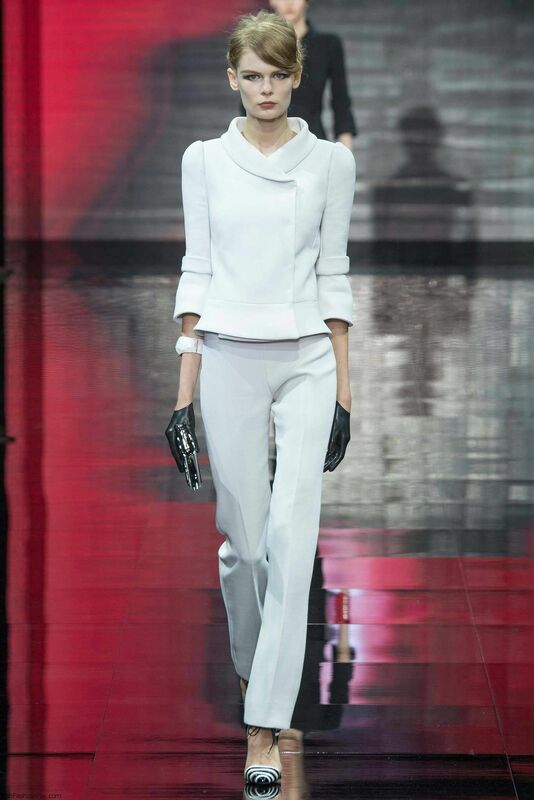 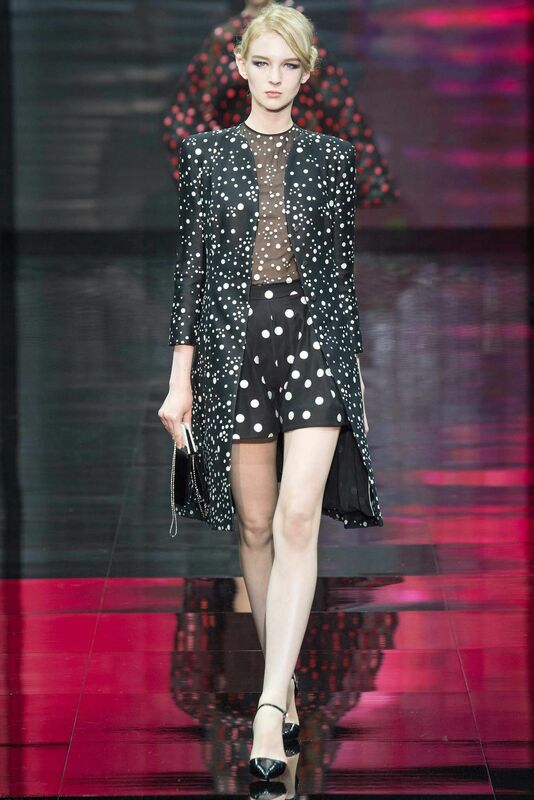 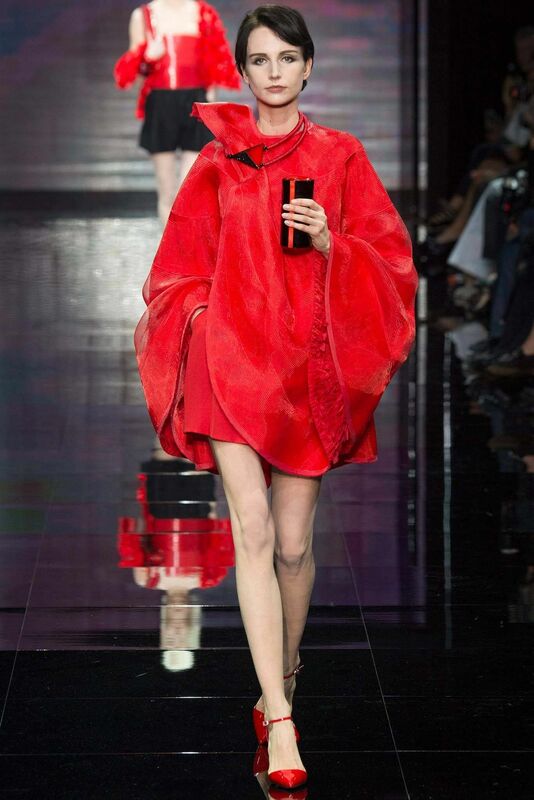 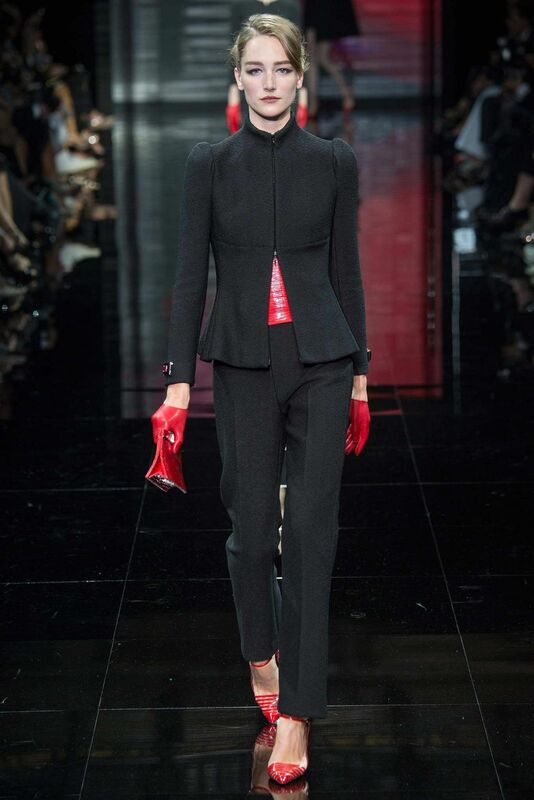 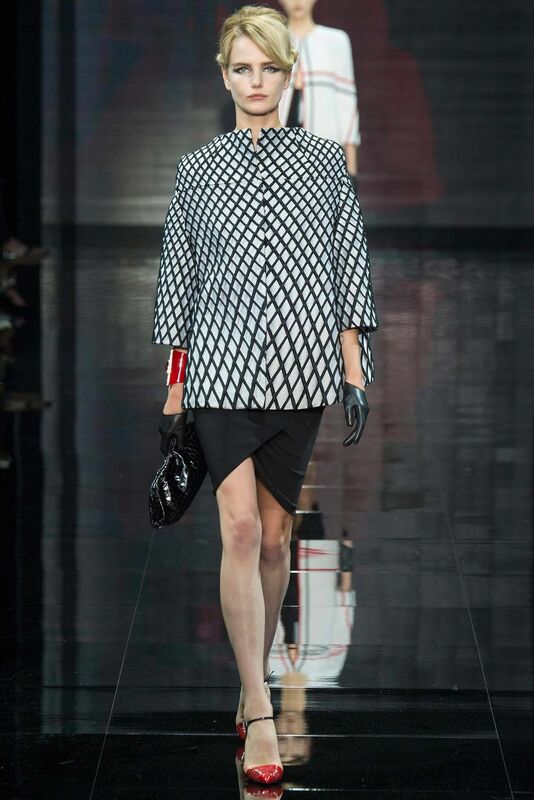 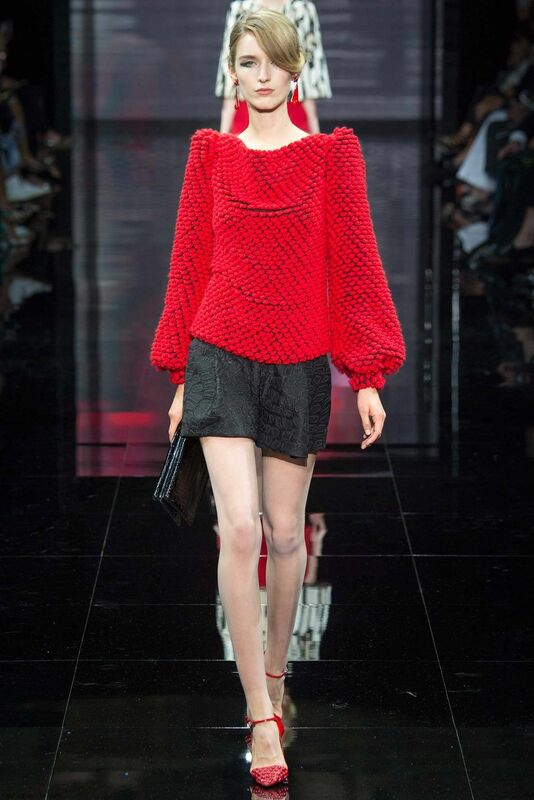 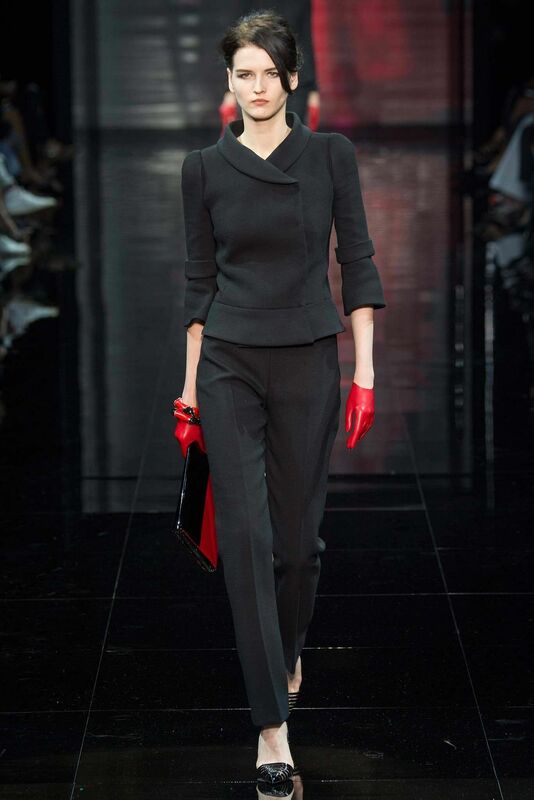 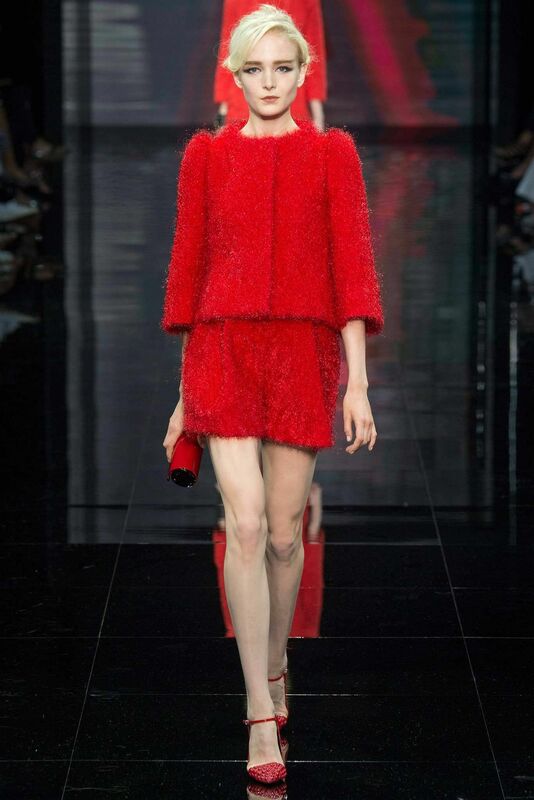 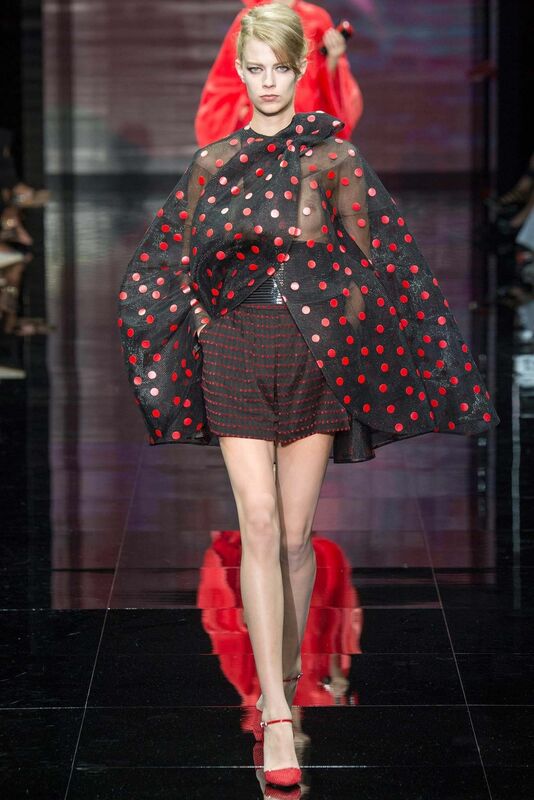 Designer Giorgio Armani delivered a whole collection inspired by powerful and elegant woman in red, who blends perfectly in the past in jackets with pagoda shoulders but still manages to pull of modern twists such as the modern shorts. 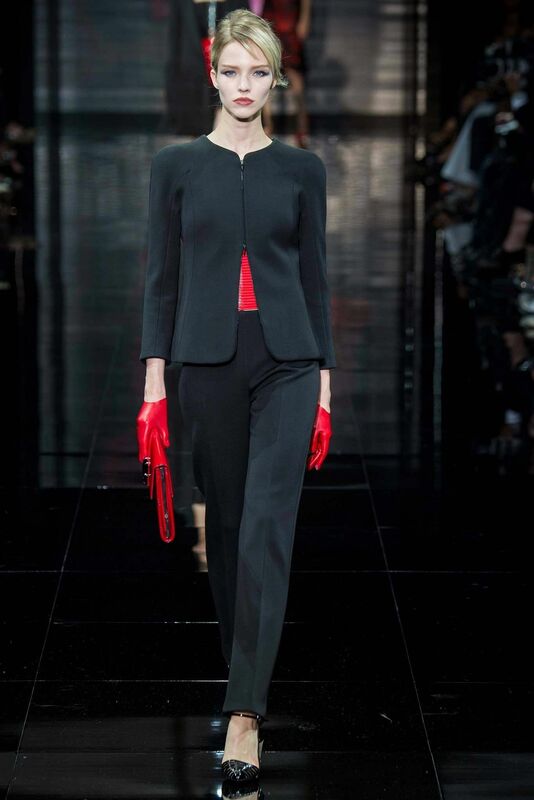 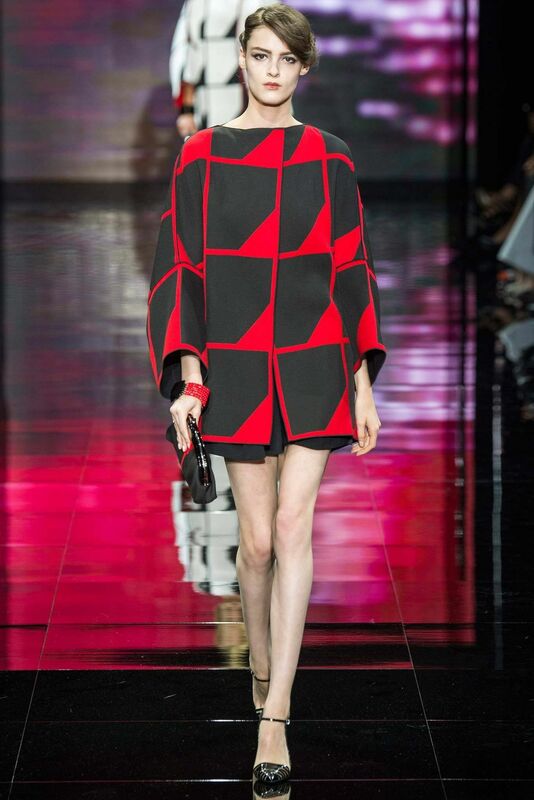 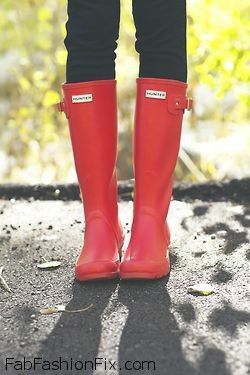 The color palette mostly focused on red, black and white colors, which was a step back from Armani`s grey and navy blue comfort zone. 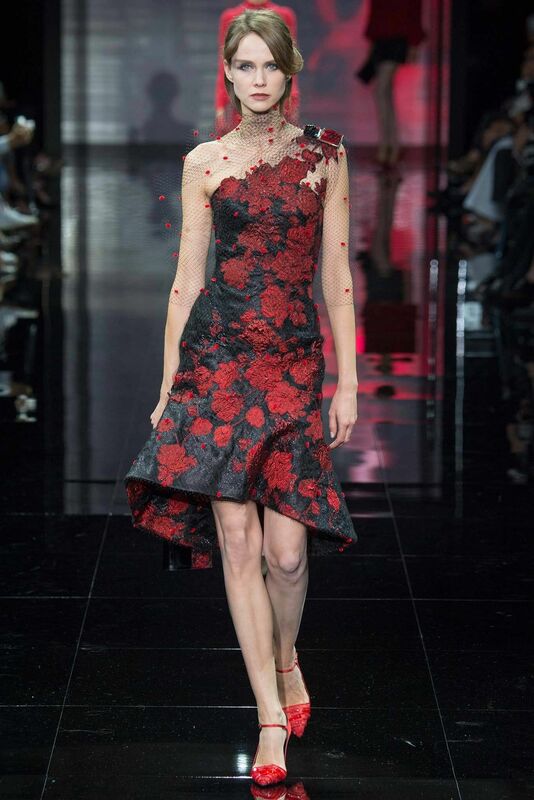 The collection ended with dramatic red carpet evening gowns accessorized with elegant veils with intricate rhinestones details. 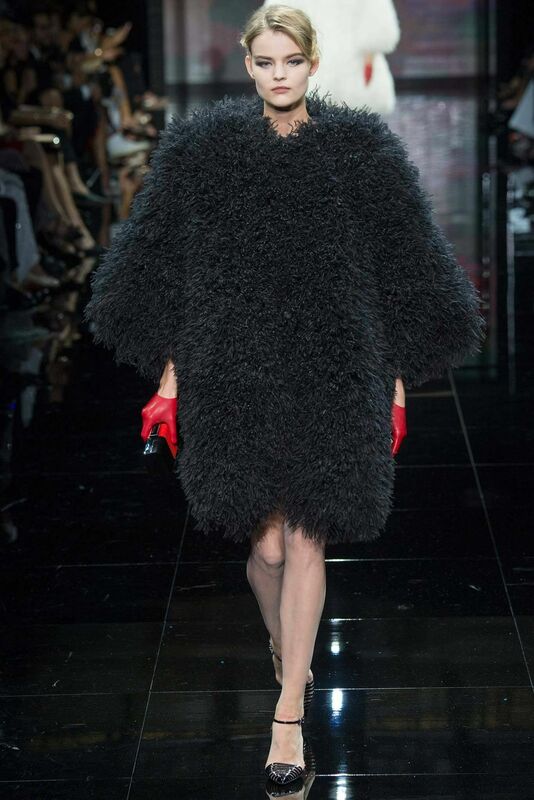 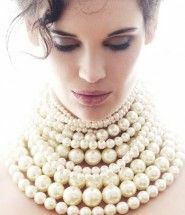 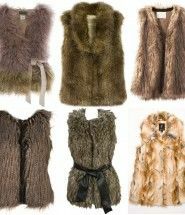 We`ll be surely seeing these lavish gowns on the red carpets during awards season.